I love the new colors of the season, the touches of spring are really wonderful! Me encantan los nuevos colores de la temporada! los toques primaverales son realmente fantasticos! Mis preferidos la cartera, el color esta divino y la chaqueta! Me encanta la chaqueta , los zapatos ,el bolso,,......TODO. lurv ur bag! u look stunning darl. those shades re kickass. if u like we can follow each other darl. reminds me of celine so much! that is such a sweet as tropical blazer Juli. Juli, this bag is such amazing! And I loved your jacket! 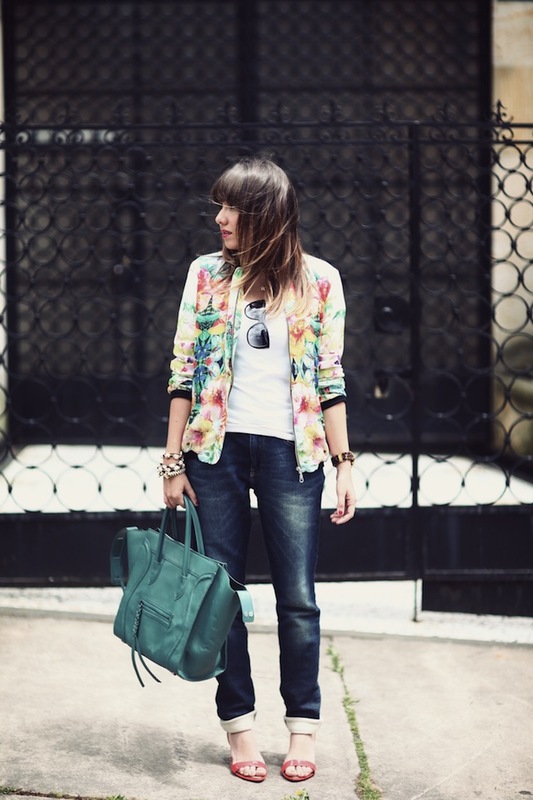 BIG LOVE for your tropical jacket and that GREAT BAG!!!! Guapissima mi cara Juli!!!! Love the bomber floral jacket ... couldn't resist to it too even though it was not silk which was a drawback :))...It looks amazing the way you styled it!!! wow la chaqueta es preciosa! me encanta tu estilo siempre bella! I just bought the same jacket! Really love the way you've styled it! Looks fantastic on you! me ha fascinado el bolso!! the floral looks tropical..... like passion fruit! Me encanta el estampado de esa chaqueta!!! Sobre todo si el color primaveral te luce joven.. jeje..es una buena estrategia.. I love the whole outfit!! 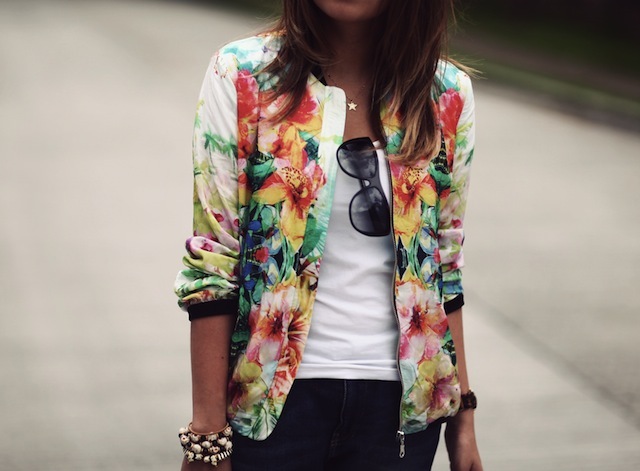 Especially the floral bomber jacket, soooooo chic!! Estoy embobada con tu hermosa chaqueta. Tu siempre tan acertada. Adoro este look, la chaqueta esta para morir al igual que las sandalias! 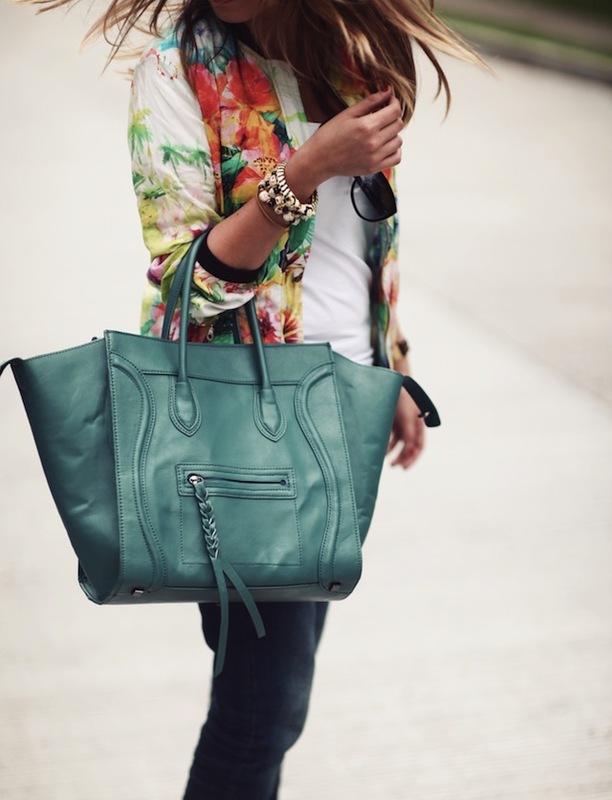 loved the tropical jacket and the bag is good too ! Would really appreciate if we follow each other via GFC&Bloglovin or maybe both! Do let me know! I really love your bag ! I love the JACKET ! So fun !